During the 1940s Millers & Rhodes Department Store established itself as a destination in Virginia to visit Santa Claus. Sadly the store closed in 1989, but the tradition of visiting the Legendary Santa Claus continued at various locations in Richmond. The role of the Legendary Santa Claus has been played by a handful of men, including the late Bill Strother. In 1966, Dan Rowe became the Legendary Santa Claus taking over the role from his brother, Hansford. Dan Rowe appears at the Richmond Children Museum, the current location of the Legendary Santa Claus tradition and at numerous hospitals, parties, and even the Virginia Capital Christmas Tree Lighting. He has also appeared numerous times in the annual Richmond Christmas Toy Parade. 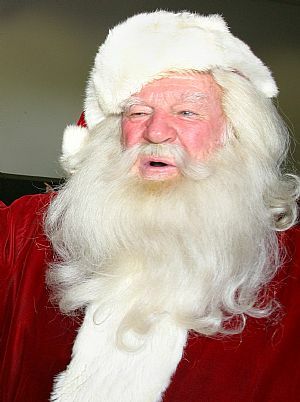 In 2011, the City of Richmond celebrated the 75th anniversary of the Legendary Santa Claus. For 46 of those years, more than any other man, Dan Rowe had brought to life Santa Claus for the children of Virginia and beyond.